Glendalough in or about the year 1131, and a magnificent witness, as yet barely interrogated, to the high standard of scholarship attained by this monastic centre." Text beginning Ad fet Augustus míl do bith i fudumnaib in mara 7 in talman Indecdai, note on monster in India. f. 47v p. 82b-83a Orgguin trí mac Diarmata meic Cerbaill. Cf. p. 134b. f. 50r p. 87a-88a Poem Cathair cenn coicid Banba, the metrical Esnada Tige Buchet ("The Songs of Buchet's House"). Cf. f. 73. Prayer "Adomnan mac Ronain ro cháchain in nothainseo", beginning Colum Cilli co Dia dommerail i tias nimustias. Poem "Cainnech do rigni in northainse"
Story of Labraid Loingsech and other pre-Christian kings of Leinster, including poems: Dind Rig attributed to Ferchertne; Lug sceith; Cethri meic la Setna Sithbacc, attributed to Senchán; etc. Laigin genealogies (Dál Niad Cuirp). Includes verse. Laigin genealogies (Dál Niad Cuirp). f. 73r-73v p. 133b-134a prose Esnada Tige Buchet (The Songs of Buchet's House). Cf. f. 50.
f. 73v-74v p. 134b Orgguin trí mac Diarmata meic Cerbaill (The Deaths of the Three Sons of Diarmait mac Cerbaill). Cf. p. 82b-83a. Glendalough up that point and will be proceed with the version known from the Book of Nuachongbháil, i.e. the Book of Leinster. In Keating's Foras Feasa ar Éirinn, a list of Irish manuscripts said to have survived into his own time. 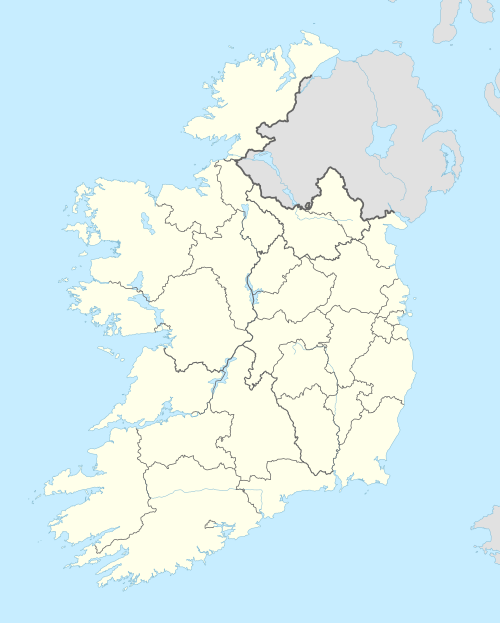 Irish language compiled during the eleventh and twelfth Centuries. ^ Early Manuscripts at Oxford University. ^ Meyer, p. 102. ^ http://www.ucc.ie/celt/published/G202007 ^ http://www.ucc.ie/celt/published/G202010 ^ http://www.ucc.ie/celt/online/G100061 ^ http://www.ucc.ie/celt/online/G100048/ ^ a b Breatnach, "Manuscript sources and methodology", p. 41-2. ^ Ó Riain, "The Book of Glendalough: a continuing investigation", p. 80. ^ Ó Riain, "The Book of Glendalough: a continuing investigation", p. 81. ^ a b Breatnach, "Manuscript sources and methodology", p. 44. ^ a b Ó Riain, "The Book of Glendalough: a continuing investigation", p. 74-5. ^ a b c d Breatnach, "Manuscript sources and methodology", pp. 40–1 ^ Geoffrey Keating, Foras feasa ar Éirinn I, ed. David Comyn, p. 78 ^ Hellmuth, "Rawlinson B 502", p. 1476. Breatnach, Caoimhín (2003). "Manuscript sources and methodology: Rawlinson B 502 and Lebar Glinne Dá Locha" (PDF). Celtica. 24: 40–54. Breatnach, Caoimhín (2005). "Rawlinson B 502". In Seán Duffy. 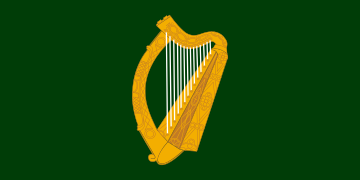 Medieval Ireland. An Encyclopedia. Abingdon and New York. pp. 398–400. Hellmuth, Petra S. (2006). "Rawlinson B 502". In J. T. Koch. Celtic Culture. A Historical Encyclopedia. 5 vols. Santa Barbara, et al. pp. 1475–6. Ó Riain, Pádraig (2008). "The Book of Glendalough: a Continuing Investigation". Zeitschrift für celtische Philologie. 50: 71–88. Meyer, Kuno (Ed.) (1901). "The Expulsion of the Dessi". Y Cymmrodor. 14: 101–135. CS1 maint: Extra text: authors list (link) Oskamp, H.P.A. (1972). "The First Twelve Folia of Rawlinson B 502". Ériu. 23: 56–72. Facsimile from the Original Manuscript in the Bodleian Library. Oxford: Clarendon. Diplomatic edition CS1 maint: Extra text: authors list (link) "Bodleian Library: MS. Rawl. B. 502". Early Manuscripts at Oxford University. Oxford University. 2000. Retrieved 21 February 2010. Genealogies from Rawlinson B 502, In Irish. Published by UCC CELT (Corpus of Electronic Texts Edition). Glendalough or Rawlinson B 502". Éigse. 18: 161–76. Ó Riain, Pádraig (1982). "NLI G 2, f. 3 and the Book of Glendalough". Zeitschrift für celtische Philologie. 39: 29–32. Ó Riain, Pádraig (1999). "Rawlinson B 502 alias Lebar Glinne Dá Locha: a restatement of the case". Zeitschrift für celtische Philologie. 51: 130–47.